1) Has the city a large supply of Irish/English pubs, restaurants? 2) Does it cater for tourists more than Spanish people? 3) Are there enough landmarks/markets/museums to keep me busy if I stay one week? 4) Is the city centre a pretty area or should I stick to the beach front hotels? 5) Is it a friendly place where I can improve my Spanish?”. It is the sort of forum post that continually makes my blood boil as this person’s idea of Málaga is what the city has been trying to shake off as its commonly perceived image for many years. This image could NOT be further from the truth!!!! 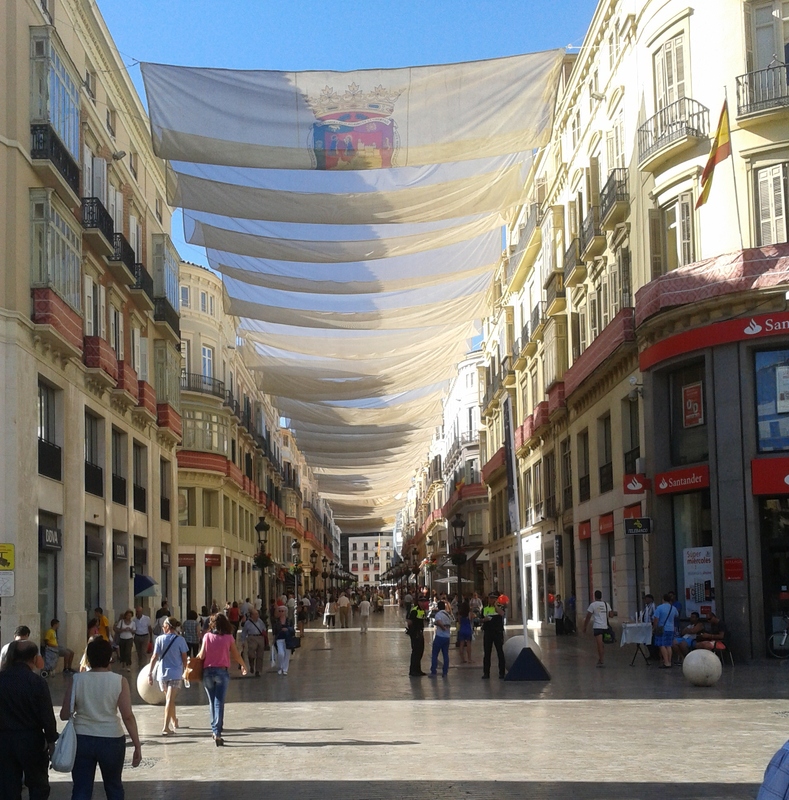 Málaga is NOT the Costa del Sol/Crime (the Malagueños leave that auspicious “tag” for further along the coast to Marbella and its surrounding resorts – their town councils, inhabitants, tourist boards etc are equally as free to contest that “tag”). The success of Malaga in re-branding itself has in fact been more “magnificent” than the original poster’s misconception. So much so that some resorts, places, estate agents or “relocation experts” as they now call themselves; time share complexes, etc. now all use the name “Málaga” whenever possible – something that was unheard of 10 years ago when “Costa del Sol” was the term to use. 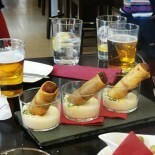 We continually get visitors (especially non-Europeans) booking our Gourmet Tapas Tours who tell us they are staying in Málaga, only for them to discover (when we ask if we can meet them at their city hotel) that they are in a time share resort up to an hour away from the city. Naturally they are disappointed (the resorts have given their address as Málaga – not strictly untrue as Málaga city bears the same name as the province, but is a shame that they do not distinguish between the two to their unsuspecting clients). Malaga is now officially the “in” place on the Costa and quite rightly so! 1) Only two Irish bars that I know – normally full of Spaniards (many of whom will be language students hankering after a glass of Guinness). The city reportedly has a bar for every 66 inhabitants so you should find a few that you will like, especially in the historical centre where bars, cafés and restaurants can be found on every street. 2) The city caters wonderfully for both tourists and its 600,00 Spanish inhabitants alike. 3) 26 Museums and Galleries including the magnificent Picasso Museum and Carmen Thyssen Museums plus some wonderful landmarks such as the Cathedral, Roman Amphitheatre, Alcazaba etc. should keep you occupied for a few days! Great central food market too and artisanal markets in the newly reformed port area and Soho area. Remember too that it celebrates Carnival, Holy Week and the August Feria with a considerable amount of panache! 4) The city centre is stunningly pretty – pedestrianized too which makes it a visitor’s delight for wandering around. No car fumes so environmentally a bonus! The city has three beaches – there are hardly any “beach front” hotels (and a minimal number of high-rise ones too compared to resorts further along the coast. Visitors tend to want hotels in the beautiful city centre (and the beach is just a short walk away). 5) Very friendly (and safe too, another bonus!). Locals love you for attempting a few words of their language and there are some excellent language schools (especially around the Plaza de la Merced area). If you have been to Malaga and think the original forum poster could not be further from the truth then we look forward to your comments! You will see most attractions get 4 out of 5 stars at least! From my own personal experience.. It is a GREAT DAY/NIGHT OUT with plenty to do,easy to walk around and a wonderful place to visit! I visited Malaga for the first time last month. I have now visited three times within a month: Loved the place. City’s are not really my thing but Malaga made me want to stay. A place full of life and energy with an eclectic mix a traditional and contemporary design and architecture. Will I go back? You bet! There is so much to see and do Craig – be warned, Malaga is an addictive city!!! We love Malaga! Of course we live in Almunecar, just 45 minutes East with fewer tourists, but it is our city of choice over Granada for sure. There is so much charm and character and our kids love the parks that seem to be everywhere. I’ve lived in London, visited that much-beloved city of the S Hemisphere Buenos Aires several times and generally actually HATE cities. I love love love Malaga and all it has to offer. Beaches, views, culture, lifestyle, proximity to wondrous countryside; and not a scrap of Costa del anything. Honestly I didn’t realise such cliche’d views still persisted. A week? Yep plenty to do. Viva Malaga! Viva indeed Fiona (you cannot imagine the number of clients who tell us “told our friends we were going to Malaga and they questioned our judgement!!”). They fall in love with the city…. of course! I am a “City Boy” and don’t try to hide it …. Málaga ticks ALL my boxes! It ticks all ours too Steve! Hahahaha Marianne – naughty!! Malaga, like other cities in Spain (and in fact the whole country) has gone through a terrible economic crisis and it now looks (hopefully), as though there are some green shoots (especially in Malaga!!) – therefore we HAVE to share and shout from the rooftops to assist the wonderful friends we have made in the city!! I’m a regular visitor to Spain but hadn’t been to Malaga (city) for close to 20 years before I spent a week there last summer. I was hugely impressed and loved the way it could be used as a jumping-off point for other day trips up and down the coast and inland. I’m returning for a week this year specifically to see Semana Santa and am looking forward to it. Good to hear Steve – Semana Santa is a very special occasion in the city and whatever one’s religious beliefs it will be a moving experience. I would not dream of visiting Malaga……. I would just do it , Instantly !! Fantastic galleries, fantastic food, fantastic shopping, fantastic beaches, fantastic restaurants, fantastic hotels, Fantastic people…..on the whole fantastic really, I am afraid one week will not be enough but once bitten forever smitten. Fantastic aside Malaga is way up there in my opinion and being a bit mature I have been around a bit, it feels so fresh and has a real happening vibe, something for everyone, just visit you will not regret it, beautiful authentic Spain. Thank you for posting Roberto – we completely agree!! Everyone should do it!! I live for 7 years in inland Andalucia and Malaga is the best city. If you want to see photos, also from other then the famous places have a look at my book. You will see Malaga through the eyes of a foreigner who loves Andalucia. Completely agree Jan – I fell in love with the city 23 years ago and it never ceases to amaze me and just gets better and better. This entry was posted on January 13, 2014 by Tapas in Malaga in Málaga, Uncategorized and tagged Andalucia, Calle Larios, Is Malaga worth a visit, Malaga Shore Excursions, Málaga, Málaga Museums, Misconceptions of Malaga, Monumental Malaga, Spain.